Vilification of teachers belies the hard work and preparation it takes to educate our children. A line of chatting parents greets the hurly burly crowd of small ruffians storming out of school at 3:40 on a Wednesday afternoon. I stand among these folks, basking in the sunshine and marveling at the mix of families and kids, waiting for my son Walt to make his way through the gate. 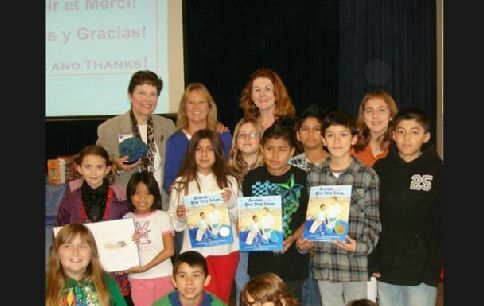 McKinley Elementary in North Park is a bright, vibrant, neighborhood school that has an International Baccalaureate program. It is also public, which is why we chose to send our son there. Counter to many parents and education reformers, my husband and I are staunch supporters of not only public schools, but of public school teachers. As a community college instructor myself—a professor of English at City College—I recognize the challenges facing folks who devote themselves to serving everyone who walks through their doors. They do this because: a) public schools, unlike charters and privates, can’t turn any kid away; and b) most teachers I know believe in the mandate that we should serve everyone. Yet increasingly, especially as I settle more into my role as an involved parent of a public school child, this mandate, based as it is on our very deepest democratic principles, is increasingly being perverted in the rush to “reform” our educational system by a host of interests: parents, who genuinely want the best for their children, but are frustrated by the results of out-of-whack funding priorities and a misplaced emphasis on standardized tests; astro-turf foundations such as Parent Revolution or Students First (headed by the likes of Michelle Rhee) that prey on the anxieties of parents and that are really a front for union-busting; corporate interests that see money-making possibilities in the rise of privately-managed charter schools; billionaires, who use their foundations to engage in a power-mad form of “venture philanthropy”; and politicians of all stripes, who are influenced by moneyed interests and/or are themselves swayed by the siren calls of a business model approach to our educational system. It’s a mess. And the people who pay the most for this mess are our children, of course. But right along with them are the professionals entrusted with their educations: our public school teachers. 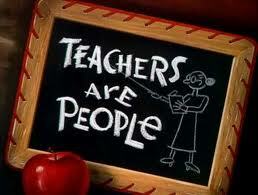 Since I sit on the site council at McKinley, I’ve come to know many of the teachers who work there. They are a devoted bunch and most of them have been at the school for at least 17 years (the undisputed guru has been there over 38 years). They love their kids, their school, and their community. They spearheaded efforts, in collaboration with their dynamic principal and interested parents, to bring an International Baccalaureate First Year Program to McKinley in order to enhance the curriculum and make their standards-based teaching more flexible, and from what I can see, more meaningful for our kids. They are a funny, warm, collegial, and professional bunch. I’m happy if my son winds up in any of their classes. Thus this week when I saw that the San Diego Education Association, their union, had come to the table and made concessions, I was both moved and saddened. Moved that so many in their ranks saw how dire the funding situation at the state level had become, and that it was important to not only be able to rescind as many pink slips as possible therefore preserving jobs, but also to protect class sizes so kids can be adequately served in their classrooms. But I was sad that a contract they’d worked hard to get and that was dependent on a better future hadn’t been able to materialize. I realize many believe that teachers are paid too well, that they’re “lazy” because they have summers off, that their union puts their interests above those of the children. The list of issues folks have with teachers goes on and on. In the same breath, people will praise the millionaire CEO or the rich athlete as somehow a paragon of work ethic and initiative. They’ll defend those at the top and trounce on those that serve our children. Why is this? I think some of the ire comes from a vast misunderstanding of the teaching profession itself. The amount of preparation it takes to teach a classroom full of squirrelly kids, many of whom, depending on the school, may not have had a good breakfast or an adequate amount of sleep or supportive parents. Teachers must simultaneously inspire, hold sway over, and support 25 to 45 growing humans with all of their individual idiosyncrasies, learning styles, and life experiences day in and day out. Do teachers have long breaks? Yes. Are they paid for all 12 months of the year? No. When school is not in session, teachers don’t get paid. Like me, most of us are paid for 10 months out of the year. Yet despite this, most teachers spend a good portion of their breaks preparing for the coming school year. In my interviews with teachers from across the state, most start getting ready for fall well before the first bell rings in September (for those on a traditional calendar), which means they’re doing work during times they’re not being paid. But most teachers I know don’t go about trumpeting their experiences, which unfortunately leaves a vacuum for others to fill in. There are other reasons why teacher bashing is so prevalent these days. And while of course, as in any profession, there are those that don’t do their jobs as well, the majority do. In fact, the truth is that the 5% of so-called “bad” teachers are vastly outweighed by those who do their best and by the 25% of potentially good, young teachers who decide to leave the profession in the first five years of their careers. Much ink has been spilled on the “bad teacher” phenomenon—and much of what I’ve read spins the same ginned up yarns that rarely reflect the reality of most teachers’ and most kids’ experiences in the classroom. What I’m interested in is something that never makes it on peoples’ radar screens: the gender of most K-12 teachers and an underlying sexism in the education “reform” movement. 2. You must be home between the hours of 8:00 p.m. and 6:00 a.m. unless you are at a school function. 3. You may not loiter downtown in ice cream stores. 4. You may not travel beyond the city limits unless you have the permission of the chairman of the school board. 5. You may not ride in a carriage or automobile with any man unless he is your father or brother. 6. You may not smoke. 7. You may not dress in bright colors. 8. You may, under no circumstance, dye your hair. 9. You must wear at least two petticoats. 10. Your dress must not be any more than two inches above your ankle. While we are certainly a long way from such mandates, the presumption behind these rules—that unless otherwise directed, women teachers would most certainly stray from their sacred duties “to the children”—should give us pause. Indeed, as Marjorie Murphy argues in her book, Blackboard Unions: The AFT and The NEA 1900-1980, knowing the gendered history of education is important to both understand why unionization efforts happened, but also why we still hold many of the attitudes we do towards teachers and other educational workers. As Murphy puts it, “Deportment, moral character, social obedience, domestic virtue, and firm habits were virtues in teacher, whereas over exertion in academic subjects was sometimes actually frowned upon” . “What was valued in women” Murphy goes on to say, “was their ‘refining influence,’ their ‘finer moral sensibilities and nobler impulses’”. Women were seen as the moral exemplars in 19th Century American culture, thus teaching was an acceptable profession for them to enter since it was a respectable alternative to marriage and could be beneficial to children. After all, mothers were held in high regard as the ethical centers of their households; hence female teachers could perform the same roles in schools. Furthermore, early public teaching models thrived via a system of paternalism wherein most teachers were women and principals were men. Such paternalism mirrored father-daughter relationships and functioned through women’s sense of family-connectedness. In other words, one rarely questioned the rule of the father. What these ideologies really functioned to do was not just give women respectable employment as teachers, but, more importantly, give credence to the practice of paying women educational workers peanuts. As Murphy notes, “The major reason for the feminization of teaching was purely economic”. Schools had very little to pay their teachers, thus the notion that women went into this admittedly prestigious profession as “a calling” was a necessary adjunct in order to justify at some level terrible pay for incredibly important work. It wasn’t until school centralization and the first efforts to unionize the educational workforce later in the century took place did women teachers begin to challenge the feminine role they had been thrust into. It would be great to think that this is all ancient history—that these were the struggles of our schoolmarm great-grandmothers. But the legacy of paternalism continues with the notion that teachers can “do more with less;” that they just need to make do for the sake of the children, the students; that they must be held to ever more byzantine “standards” and test scores. Indeed, cutting educational budgets at the same time teachers’ performances are increasingly being tied to their students’ testing data puts our educational professionals in an impossible bind. The notion that professionals need to prove that they’re using taxpayer money appropriately in their classrooms smacks of the very paternalism that should have been left behind a long time ago. But the image of the kind-hearted, female teacher still dominates. 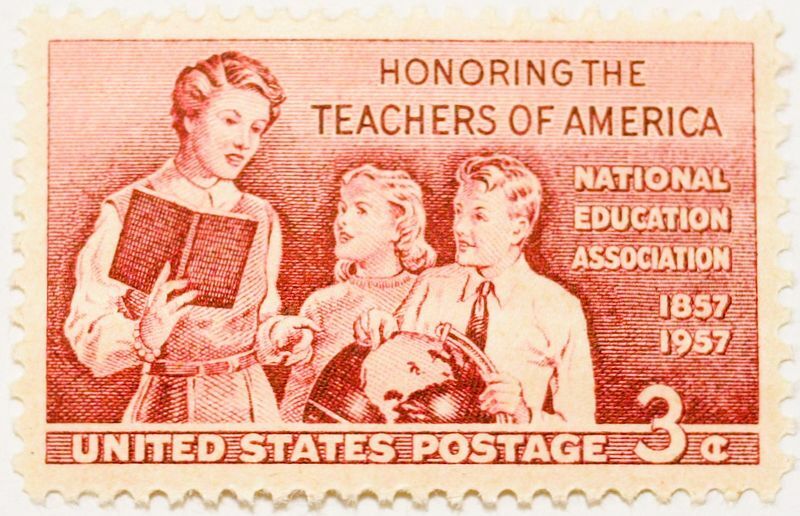 And the anger and blame folks throw at teachers—the scapegoating—during a time when their work should be protected is puzzling only if we forget the legacy of the feminization of the profession. For if teachers were considered cheap in the past because of their gender, they can be thought of in this way again. A 2011 “Fast Facts: Teacher Trends” from the National Center for Education Statistics (U.S. Department of Education) notes that there would be a projected 3.6 million elementary and secondary school teachers in 2010, and that “some 76% of public school teachers were female” in 2007-2008. Breaking it down a bit more, female teachers outnumber males in elementary education by something like 3-1. So when we look at the gender break-down of public education we have to note the feminization of the profession and consider what our underlying expectations are of our teachers. What this means is that while we are in the 21st century and most women work in a vast range of professions, education is one of those areas where in part because of the dominance of women teachers, the legacies of paternalism and sexism survive. And what those ideas permit and promote in an era of scarcity serves neither the teachers nor the students with whom they work. Public school teachers are professionals who perform some of the most important labor in our society. To constantly scapegoat them is to engage in the same sort of paternalistic behavior of the past. But perhaps that’s the point: women aren’t supposed to speak up for themselves; they’re supposed to take direction and less pay. And when they speak up for themselves, then they’re “bad,” “greedy,” “lazy,” and are “putting their needs before the needs of the children.” In what other profession are people supposed to completely abase themselves? In other countries such as Denmark, teachers are treated with the highest respect and compensated accordingly. In the U.S., not so much. So it’s important to be aware of our country’s history and stereotypes regarding women and teachers when we look at the current professionals who teach our children. Thus amid the public response to the tentative agreement reached between the teachers’ union and the San Diego Unified School District folks should be mindful of the past. The teachers didn’t bring the state to its knees; the bad economy and the refusal to raise revenues and instead make draconian budget cuts did. A democratic nation should prioritize the education of its young. And for there to be quality education, we need to treat our teaching professionals with the respect they deserve instead of continuing to heap scorn on them. I don’t know of a young person right now who’s interested in going into teaching—and I’m around a lot of young people at City College. They don’t want the disrespect. That is shameful and is the real loss to our children. Kelly Mayhew is a co-author of Under the Perfect Sun: The San Diego Tourists Never See and co-editor of Mamas and Papas: On the Sublime and Heartbreaking Art of Parenting. She teaches English at San Diego City College and lives in Golden Hill with her husband Jim Miller and their son Walter. 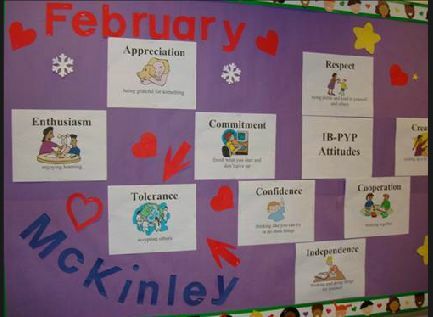 Photos two and four are from the McKinley Elementary website. What an excellent article. The teacher-bashing needs to end. And with that call, I also appreciate that parent Kelly Mayhew acknowledges how important it is for San Diego Unified teachers to accept the modified contract that’s on the table and up for their votes. We need to keep our school teaching staffs intact for the coming year and to keep classes from growing beyond their already-too-big sizes. We need to reject “Breakfast Club”conspiracy theories and victimization: this School District is out of money and, for the moment, only the teachers can save it. The community will not forget the teachers’ altruism. The “community” doesn’t give a crap about the teachers’ altruism. Whatever concessions are made by the teachers will be seen not only as a victory over a profession that must be “reformed,” but as just the beginning of future victories over public education in general, with it’s greedy union driven /non-performing teachers. Yes, the economy is sad, and it’s sad that Republicans are recalcitrant and obstructionist in their actions. The only thing left is for teachers, all of those women, to take a bullet for the home team. That’s sad too, but, what’s left to do? We have waved the white flag of surrender on meaningful policy and rational political representation, at least for the moment. Altruism by a whole profession is not an antidote for inadequate short sighted police or Republican political gridlock. Very good article. I too think most public school teachers are very good at what they do working in very difficult circumstances. Poppycock. Teachers are as much a stakeholder in the education system as are parents and students. Teachers must unite and retain their collective bargaining rights in a world that wants to abolish those rights. We will someday adopt the International Labor Organization’s (ILO) standard, regardless of private or public employee status, where the right to organize and bargain collectively is a “human” right, not just a political right determined by state legislatures. This legislation will be enacted at the Federal level of government to protect it from state assault. In the meantime, stand your ground as they say in FLorida. When we collectively bargain for teachers’ working conditions, we are also negotiating the students’ learning conditions. Most of the time, they are one and the same.